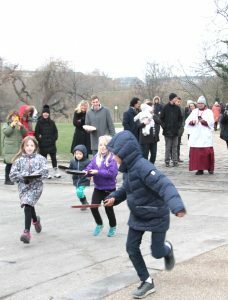 Never mind Mardi Gras and the dancing girls, you haven’t lived on Shrove Tuesday until you’ve taken part in a pancake race. 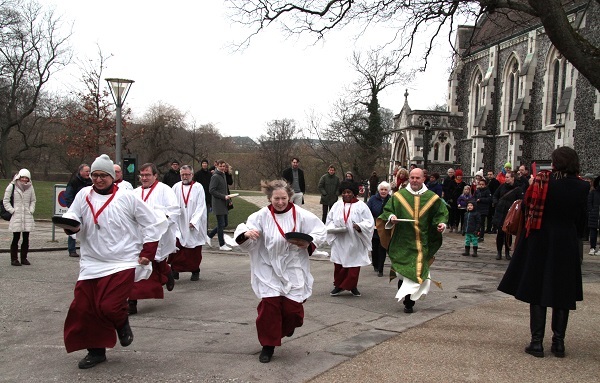 And two days prior to the shovelling down of fats and eggs in anticipation of the start of Lent on Ash Wednesday, the parishioners of the Anglican church St Alban’s and friends gathered on Sunday February 11 to commence battle. 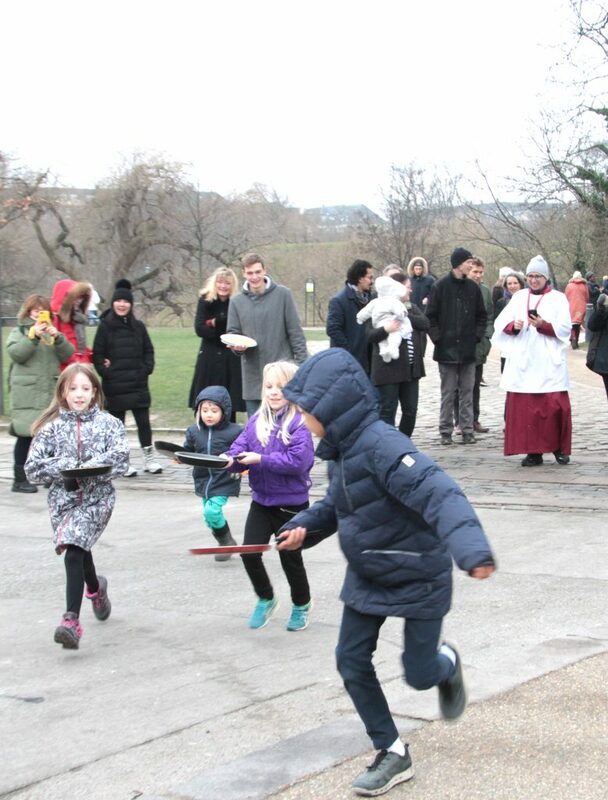 Pancake racing is a British tradition dating back to 1445 when legend has it that a English woman in the Buckinghamshire town of Olney realised she was late for church whilst making pancakes. Ever since, many races have required competitors to wear aprons and toss the pancake as they run.